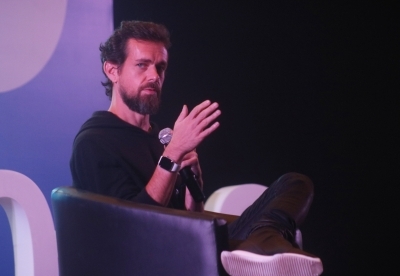 San Francisco, Feb 13 (IANS) Micro-blogging site Twitter is considering ways to restrict mental and physical threats to its users that are triggered during or due to digital conversation on its platform, Twitter CEO Jack Dorsey said in an online interview. Dorsey made the comments while discussing Twitter's efforts to reduce harassment on its platform and promote healthy conversations. "We have to consider first and foremost what online activity does to impact physical safety, as a way to prioritise our efforts. I don't think companies like ours have admitted or focused on that enough," Dorsey tweeted on Tuesday. The company is trying to implement policies and enforcements that would reduce the probability of Twitter users experiencing offline physical harm. In October 2018, Twitter prohibited misgendering transgender users and also banned repeated or non-consensual slurs, epithets, racist and sexist tropes, and other degrading content, the media had reported. We are using Machine Learning (ML) to downrank bad actors, we have given more control to users with options to mute accounts without profile pictures, associated phone and emails, Dorsey noted. On being asked whether Twitter's lack of diversity caused the slow build of anti-harassment features on the app to protect users, Dorsey admitted that was "likely" a reason. "We don't have all the answers just yet. But that's the focus. I think it clarifies a lot of work we need to do. We have to change a lot of fundamentals of the product to fix," he added.